I am always looking for ways to include lots of patterned paper on one layout. I've seen lots of people put different patterns on the corners of their layouts and figured that is the perfect way to include multiple patterns without overwhelming the photos! 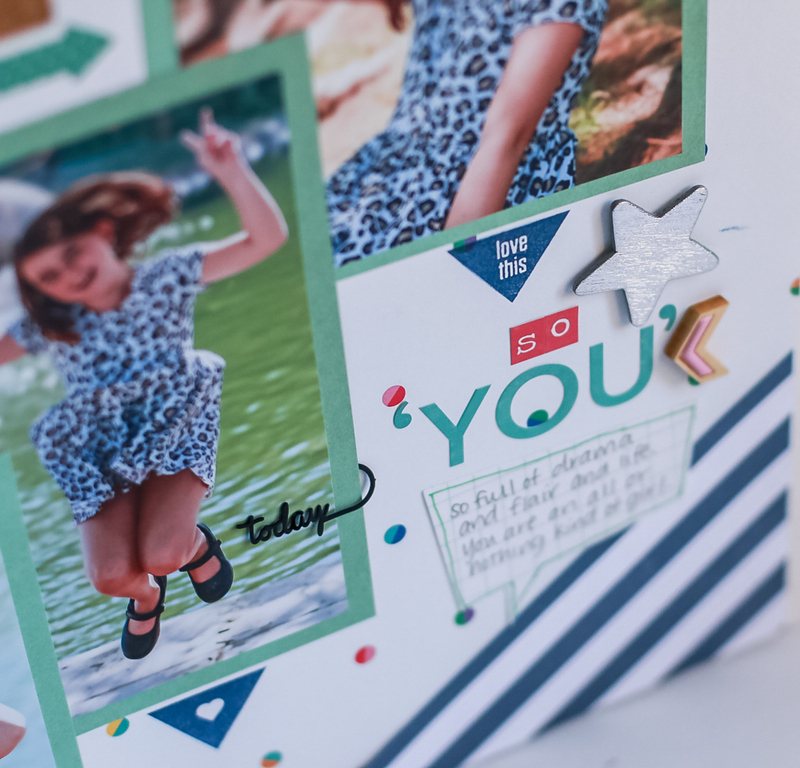 I used the Scrapbook Circle Main Kit On This Day as well as the add on Good Times and add on Right Now. 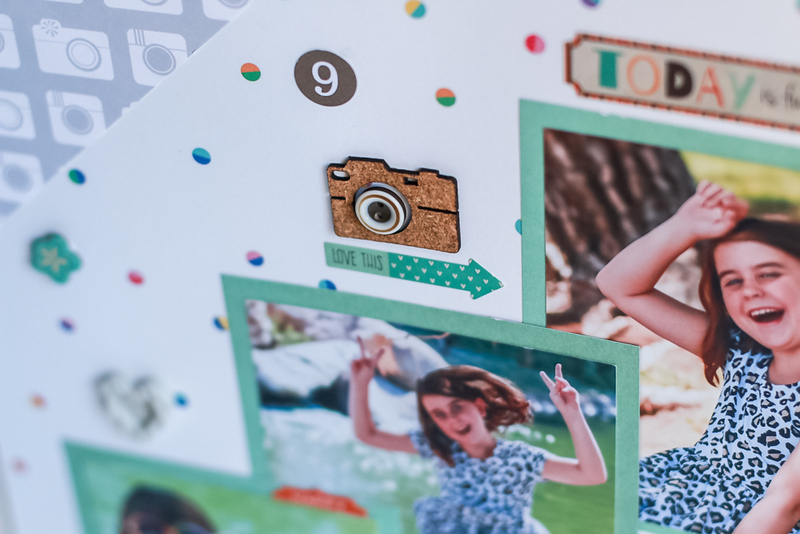 The photos were mounted on a solid color and since the busier patterned papers were just on the corners, the photos still take center stage!